Named after Jane Grigson's celebrated cookbook, Good Things is the brainchild of Carmel Somers (who knew and cooked for the great lady). Since opening in 2003 it has become a foodie destination par excellence, and crowds flock from near and far to sample vivid, ingredients-led cooking. 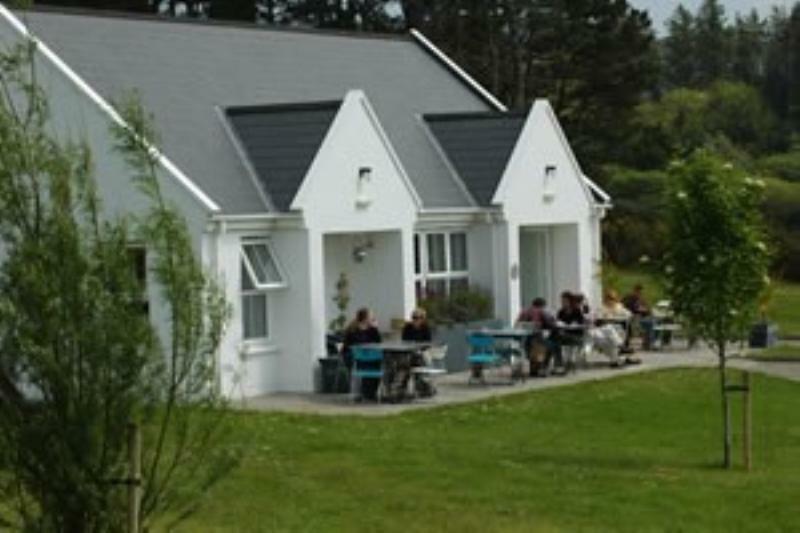 From the outside, the place looks like a village tearoom: the scenic views over the waters of Dunmanus Bay are delightful, bur what really impresses is the sheer imagination and intensity of the food. Carmel Somers takes her inspiration from 'the great scholar cooks of the past', and her menus read like a road map of West Cork artisan producers: Durrus cheese, Gubbeen ham, Dunmanus Bay lobster, Glenilen clotted cream and more besides. Fish soup and pizzas are signature dishes, but the repertoire extends to vibrant soups (beetroot with new season's garlic), salads and more substantial offerings such as lamb tagine with prunes or whole John Dory with sea beet, olive oil mash and cherry tomato dressing. As for desserts, expect warm chocolate and banana cake with cookies or poached cherries with vanilla ice cream. Carmel is an energetic soul who also finds time to run out-of-season cookery classes and an outside catering/takeaway service.